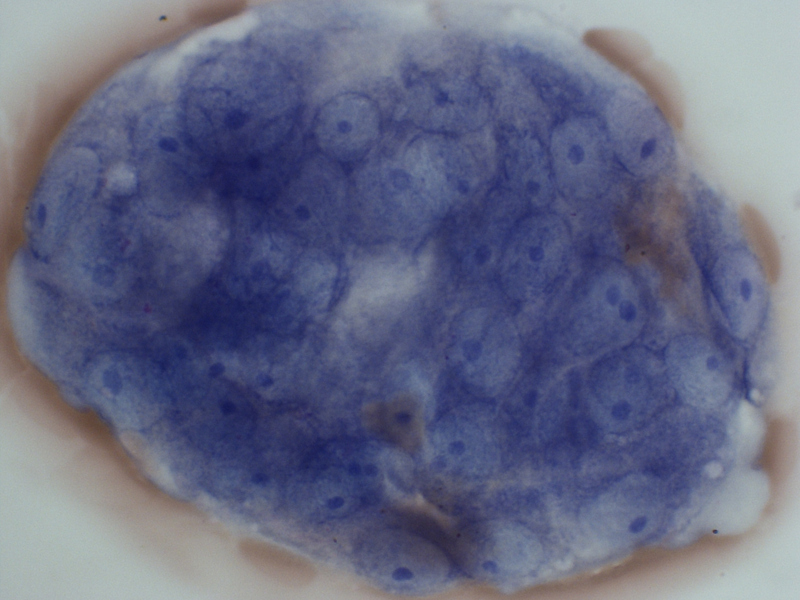 So… we have a leucoerythroblastic film (left shifted granulopoiesis and nucleated red cells) along with tear drop cells. 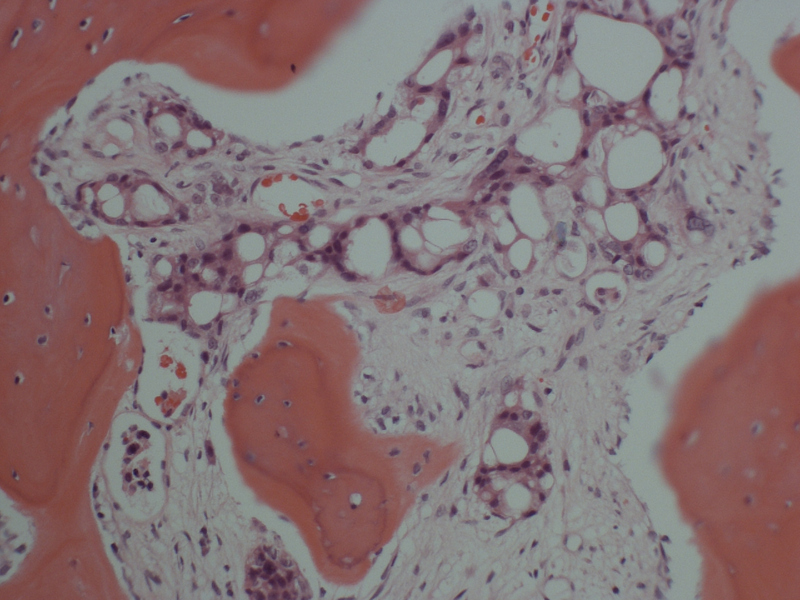 The marrow infiltration was patchy and in other areas it was heavily fibrotic with no evidence of carcinoma. 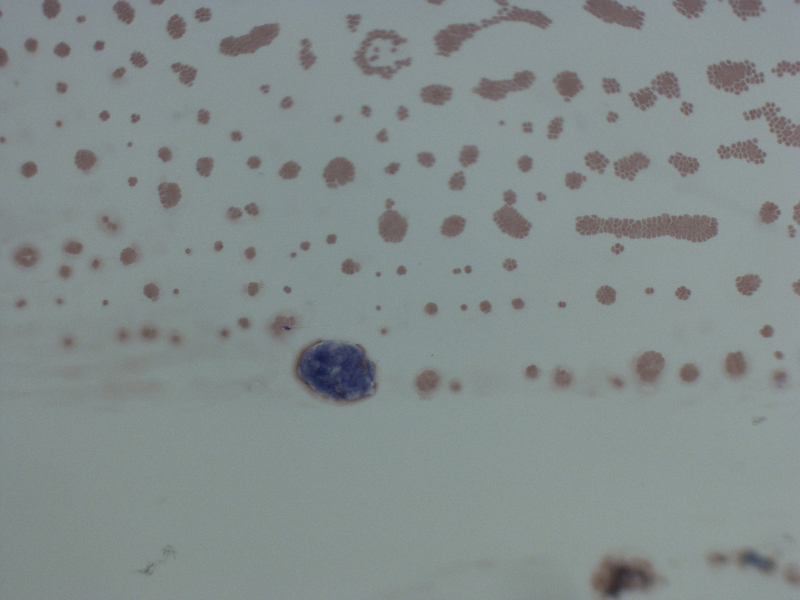 His ferritin was low and had iron deficiency. 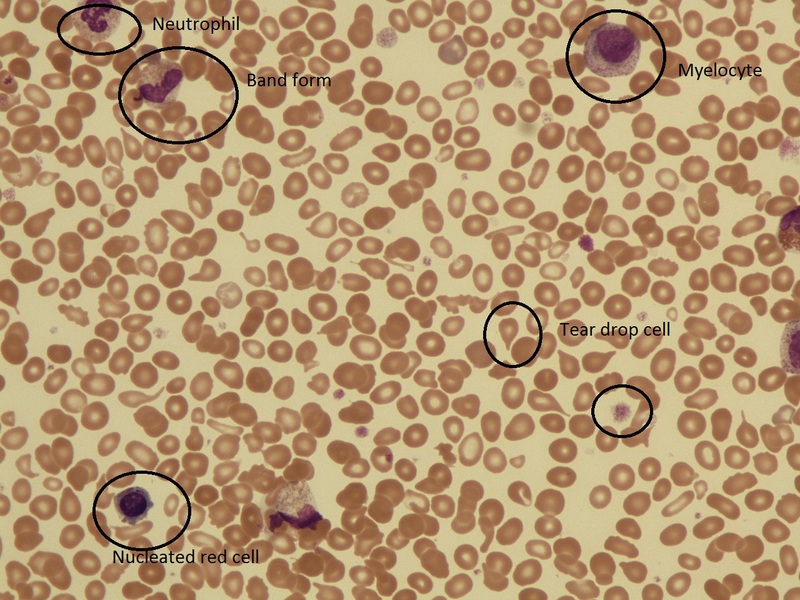 This entry was posted in Haemoglobinopathy, Laboratory morphology, Myeloproliferative neoplasm, Related to other specialities and tagged carcinoma, leucoerythroblastic, malignancy, Myelofibrosis. Bookmark the permalink.